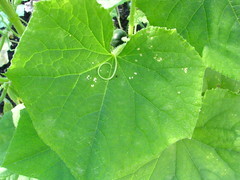 My knitting WIPs are either all under wraps or uninteresting blobs for the moment, so I’m going to blog about my garden. I consider myself quite lucky to have grown up with a dad who likes to garden. 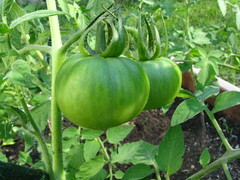 Starting seeds inside in the winter, weeding and dead-heading in the summer, eating cherry tomatoes right off the plant and the smell of good soil make up a good portion of my memories. 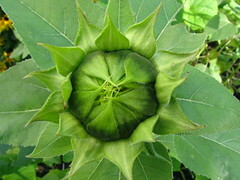 Dad would let me look through the seed catalogs and make lists of what I would like to grow in the garden – and would gently let me know that some things just don’t grow too well in our rocky New England soil / short growing season. 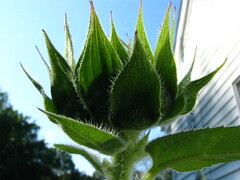 We would try different things though – peanuts didn’t grow at all. Now that I have my own home and yard, I feel like I have to have a garden! It’s not a quick hobby, but it can be so satisfying (unless you find that the deer and bunnies think you’ve laid out a special salad bar for them). 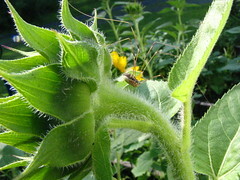 I love that now the Lorax is into it as well – this year she helped weed, plant seeds, water and look for bad bugs. I was very late in getting my plants outside this year (like, fourth of July! 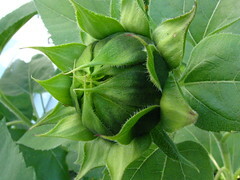 ), so my harvest is a bit behind schedule but it’s coming! 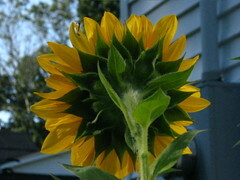 I remembered to finally bring my camera outside to document the perpetual work in progress. Tomatoes are doing alright this year. 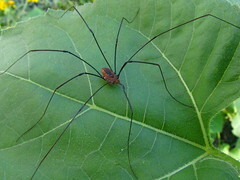 One of a handful of daddy long-legs (it’s not a spider!) that patrol the garden. 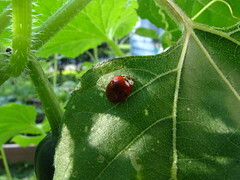 One of two hard working ladybugs that I found walking on the sunflower stems – it’s a red ladybug – not an imposter. 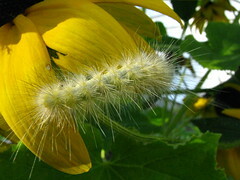 A fuzzy yellow caterpillar – one of several. I think it’s a moth larva… but not positive which one – I’m googling. 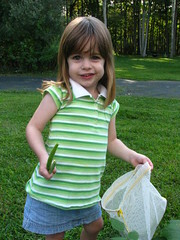 A girl and her green beans – I harvest and she eats half of them before we even get into the house! Same as last year. 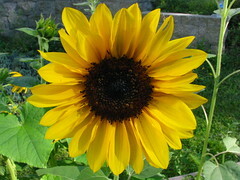 And what is it about sunflowers that make them so interesting to photograph? Peacefulknitter is headed off on a cross country adventure! Our group of regular SnB-ers each knit up a section of a scarf – so many good thoughts and good wishes for her an her family. Enough to wrap them all up! Isn’t that every knitter’s ideal – here’s this “thing” I’ve knit – and the intent is to make you smile and know that you are thought of fondly. WifeMomKnitter wrote up an eloquent post about our group project! All the best to the Peaceful Family – you will be missed terribly!! 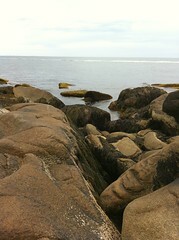 We had time outside at Halibut Point State Park. 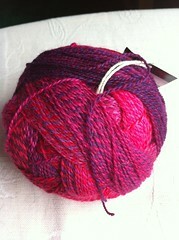 A “crazy zauberball” in magenta / pink / red – also a gift from Theatreknitter. I decided to go outside my comfort zone – thinking about a stripey Citron or (more likely) the Simple City by Eskimimi – what perfect timing!! 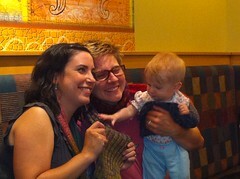 Also interesting timing was being in Seed Stitch and meeting other Ravelers! And Ravelers that are my friends, not just other people using ravelry! The other night, my father-in-law came over so we all went outside to say hello and help move some things. We left Jackson inside. The Lorax and I played outside for a bit when Dan and his dad left. We came inside to get something and Jackson was no where to be found. 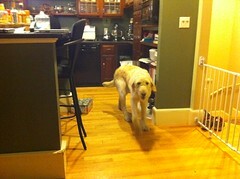 He didn’t come running when we came inside. I didn’t see his leash either… maybe he went with the guys for a ride? 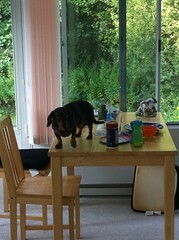 The little weenie jumped onto the chairs and up onto the table. He finished off the rice left in the Lorax’s dish and half a chicken tender from Dan’s plate. 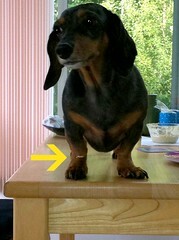 The arrow is pointing to some dip that was on his paw. Thank you for not getting sick overnight in our bed. You’re still going on a diet. I spotted this meme on two blogs and I just couldn’t resist. Plus my brain is sort of in a fog and funk right now and this seemed like a good idea at the time. I think I have a few knitting / crochet books on request that I wanted to see. I’ve gotten better with my books but as a kid, I would crack spines and dog ear the pages. While I might have ADHD with my knitting, I like to enjoy one book at a time. Not really, as the blog was started for knitting. I have occasionally reviewed books on the blog though. I have gotten rather sick and tired of a few of the Lorax’s books, and I didn’t love the last Twilight book. I really loved The Art of Racing in the Rain. And Eat, Pray, Love. Now that school is all done and I get to choose my own books, never! I like a good story – that could be in anything I guess. Fairly lenient – I’ve never been burned on this, so I will lend stuff out. I used to when I was younger, but I don’t anymore. Good story, good quotes, something that makes me think from a different point of view or interesting concepts where I can learn something new. If I can’t stop thinking about what I read or I can relate to it. I really enjoyed Eat, Pray, Love. I don’t read too many book reviews, I don’t care what the critics say. I’m honest – if I didn’t like what I read, why would I say otherwise? I have never thought of a book as intimidating, though in high school Shakespeare was probably just that. By the time I got to college and had to read it, something “clicked” and it was fine. With the Lorax, 5 – 10. 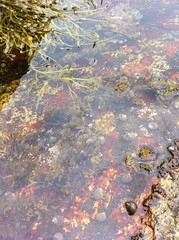 A handful – there’s just not enough time – I’m working on knitting and reading on the kindle – sometimes it works. Hard to say – several weeks? My toddler. but not much else. 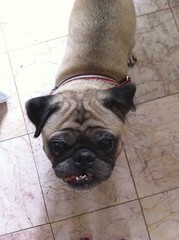 Jackson barking. Each time, the book was better, but maybe The Princess Bride? I’m not sure… so many times, the book was better. Buying college textbooks easily ran up a few hundred dollars. Non college stuff could also be $100 or so buying gifts. There is a mild organization going on in my shelves now, but it’s quite fluid. I like to keep my books, but I’ve been thinning the shelves lately – books I’m not going to read again, books I didn’t love can move out to someone elses house. I’m blanking…If i think I’m not going to like it, I generally don’t bother unless I hear from others that it’s worth the effort. Knitting books? Cookbooks? Isn’t it supposed to be guilty pleasures? Each week, the Lorax and I attend a “Mommy & Me” sort of class. We started going when she was 8 weeks old or so – it was a great resource as a first time mom. As the Lorax grew, we made our way from the baby class to the waddlers group and now we’re just about done with the toddler group (up to age 3 or so). Through it all we have had the same teacher – we love this teacher! She has such patience and care for each of the kids that attend – she is such a sweetheart. 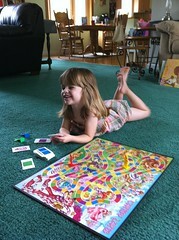 Last week she shared with us the news that she has accepted a job to teach preschool full time (in a different town, so not one the Lorax will attend)! 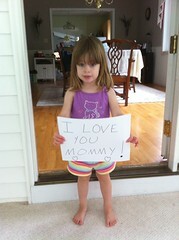 I am happy for her, but wanted to let her know how much she means to our family. 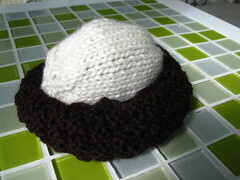 She always commented on the handknits I made for the Lorax, so that seemed an appropriate way to go. 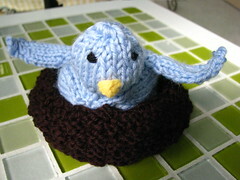 In the end I settled on an Itty Bitty Toy by Susan B. Anderson – the Egg to Bluebird and a Little Nest Too. I think it came out really sweet! 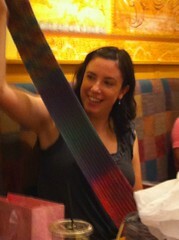 I’m wondering if I should start knitting up Pencils next for future teachers! I use my iPhone for everything – grocery shopping lists, notes, games, music, social networking – and I love that apps for knitting exist. 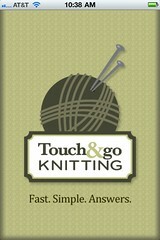 Through a blog forum on Ravelry I made contact with the creator of a new knitting app, “Touch & Go Knitting” and was granted the opportunity to check it out. Touch And Go Knitting (TAG) and now Touch and Go Knitting HD overcome knittings biggest headache visually: MATH and it’s calculations. Start knitting more useful shapes and let TAG do the math for you. 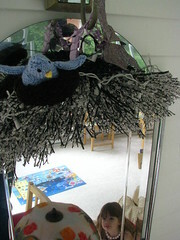 You work with moving images of the shapes you want to knit. No calculator pads! You move the yellow tape and the shape moves to the size you want. 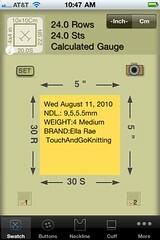 TAG is a brand new iphone and ipad app for knitters. Using it couldn’t be simpler! Everything is visual. Touch an arrow, then slide a yellow measuring tape that instantly appears. Watch as the necklines, raglan or scarfs change shape on screen while you dial the tape. You can see what the neckline will look like before you knit. This is a great idea for an app – I am not math-phobic, but more math-lazy. So for me to have the option to input numbers and get the right info for buttons, necklines, cuffs, etc is awesome. I could see how this app would be a real asset in a designer toolbox. c. Nice big touch spot for the counter. d. I was pleasantly surprised to see on the swatch page, if you click the 1 in the lower left corner the option to select a needle size, weight of yarn, and yarn brand – so you could save that info with your swatch. a. Certainly not every yarn ever made will be able to be listed, but I think there are some others that should be included – Malabrigo! Encore? Caron? Some baby sweaters might be made with that. c1: The abbreviations are extensive, and have a lot of crochet terms – maybe a page of crochet instructions would be useful for the knitter that doesn’t crochet a lot. c2: The Knitting instructions page is really back to basics – cast on and how to read a pattern. I would think that most users looking to use this app would already know how to read a pattern and cast on.